E-Weld Online (Pty) Ltd is South Africa’s fastest growing wholesaler of welding equipment to the local market as well as our neighboring countries. It is important to note that our equipment is made by welders, for welders. E-Weld Online is located in Krugersdorp, on the West Rand of Johannesburg and has been in operation for 7 years now. E-Weld Online is a dynamic distribution center which offers wholesale prices directly to the public. Collectively, and now with exciting new ventures, we have grown from strength to strength gaining huge market share with quality welding products and industrial gases. It has taken time to prove to the South African public that we are not your average “jump on the plane to China” and bring in the cheapest items that slightly resemble welding products. We have adopted a passion for the supply of quality welding products that work, and we sell products that we would actually buy and use ourselves. We have partnered with the best welding & gas equipment companies in the world, to provide you with the perfect welding & cutting solutions available today, whether you are an industrial fabricator or DIY enthusiast. We are always looking for new and improved ways to increase productivity and lower costs for our customers. This statement and belief hasn’t made us many friends in the welding supply industry, but we stand our ground when it comes down to the safety of either yourself, your staff or the wellbeing of the welding market in general. Why buy gloves to protect your hands or safety specs to protect your eyes if the very item you have purchased will do more harm to you than if you weren’t wearing them at all. E-Weld Online is fortunate enough to have had the time and opportunity to hand pick our suppliers. It has been a long uphill struggle to separate the cheap importers from the companies who actually care, instead of concentrating on their bottom line’s being profit driven, with little or no regard for the actual properties of the equipment being imported and supplied. We’ve always heard, if you have toothache – go to a dentist!!! Right? So, if you want to weld – go to a welding supplier and get Welding Equipment!!! Our product range boasts brand names like ELVEX – a professional safety spectacle range with around 50 different types, styles, shapes and applications to choose from. Besides the quality and safety aspects of these US ballistic rated safety spectacles, we offer all types of hearing protecting under the Elvex Brand. You only have 2 eyes and 2 ears, that need to last you your lifetime. That odd few rand saving you thought you made a few months back by buying cheap might be the cause of why you can’t read our company profile today, or maybe you can’t hear the person reading this to you now because you saved a few rand a little while back. Makes sense (Not Rands) to buy right, doesn’t it? Under the Elvex umbrella comes a range of specialised equipment for shooting sports, Hunting, which includes a new top of the range skinning knives together with razor sharp surgical blades – this all under the Havalon Brand, another top USA distributor. Ever gone home after a long day in the workshop with sore feet, or with damaged feet because the safety shoes you bought saved you R50? We are proud to have the Hi-Tec Safety shoe range on board with us, and we sell it with pride. A range we trust in, a shoe or boot that can withstand a force of 200 Joules falling on it, or a welding boot with anti-static properties that can withstand 300 degrees Celsius to keep you safe isn’t even in the same sport as your R199.00 (Steel toe Cap) specials that you find on the market these days. Remember this – safe feet, safe job. Workman’s Compensation only covers the basics, so use your head and buy smart. You can be the one to tell your friends why after that small accident at work you can still see, hear and walk so far. Are we making sense yet or are you saving the Rand’s you thought you were saving, just to pay it out to workman’s comp funds. We have a professional glove range coming out this month, Elvex based with US specifications, the launch will be very exciting for us as it has been a difficult area to get decent quality at a reasonable price. The law requires certain workers to use certain gloves to protect themselves. It’s easy to purchase the cheapest copy of a glove just for the sake of a site inspector to be happy, but it’s not as easy to replace skilled labour once their hands don’t function correctly because of a preventable injury, but instead you bought cheap. Buy Once and buy right. Gas Equipment is a biggie. Gas is a dangerous product – period. If you play games here, you’re playing with your life as well as those in close proximity to you. E-Weld is very proud to be a supplier of the HARRIS gas equipment range. All equipment is tested 100%, 100% of the time. We have a vast array of top quality SANS approved and often exceeding the specifications set out to keep you safe and sound while working in this very volatile industry. Don’t play with your life here – always insist on material test certificates, even on the copies. 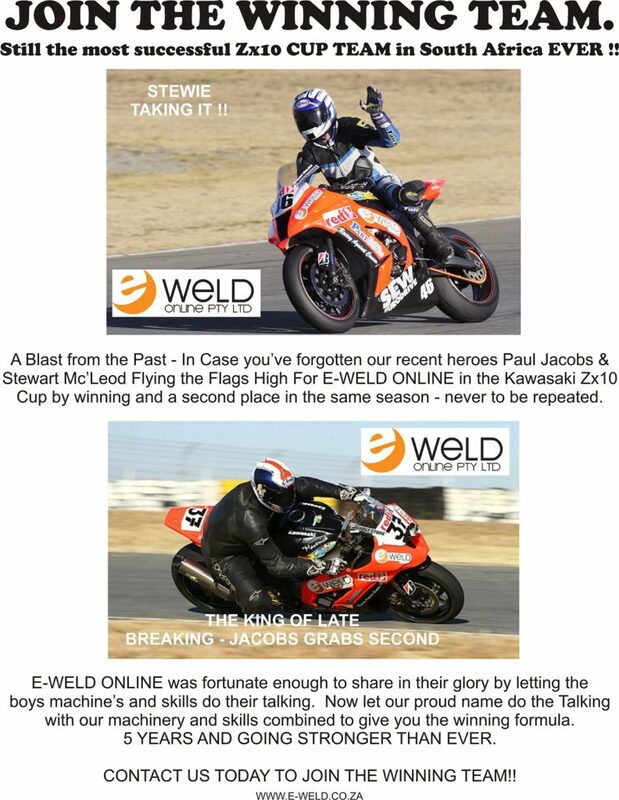 E-Weld Online – remember the name! We look after your best interests all of the time. Welding machinery is our top seller, the majority of welding suppliers we have dealt with over the years have been successful at selling welding consumables and a machine sale is an added bonus. In this area the unexplained has happened for us. We sell welding machines and the added bonus here is that we get consumable business with it. life that slight bit easier to restrike when the flux has fallen off. The same machines offer generator safe technology, hot start, thermal overload etc. And all of this now at roughly the same price range as the cheap Chinese imports that can be found at supermarkets and new in second hand stores across the country. The range has been extended to Include a new Professional Brand “Javweld” which is made in Holland, to top European standards of course. This is the latest in Chopper technology, something that is fairly new to the South African market but almost a European Standard which has taken over the ship building industry in countries like Germany, Holland, Sweden and Russia. E-Weld Online (PTY) Ltd has launched opening a fully automated online store under the WeldMart brand so that you can surf the site and purchase welding equipment from the comfort of your home or office and be guaranteed delivery with the peace of mind that what you are buying is both safe, efficient, tested and the best in quality in its price range. Most Items will ship the next day, however some items may take a little longer if it’s a made to order, or specialised product that needs to be flown in. This will be clearly stated on the site though. Visit it now @ www.weldmart.co.za. We also offer other top brands like Oerlikon Welding Equipment Electrodes, Avesta Stainless steel TIG & MIG wires, Metrode electrodes, ISO Arc electrodes, Gemini Welding EquipmentElectrodes, Superarc MIG Wire at best prices. 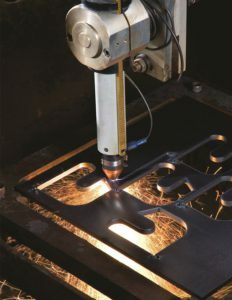 If you like the best Plasma cutters in the world, then without a doubt we off the full spectrum of HYPERTHERM POWERMAX cutter’s and to compliment the full range – from England we have Swift Cut Plasma Cutting tables available with full HYPERTHERM interface and the latest of CNC software added with training. If it is professional MIG & TIG torches you are after then look no further than our Dutch RANGE of TRANSLAS, Force torches, complete with adaptors that make them a must for any professional welder, no matter what brand of Machine they are using. We have added a middle of the range torches for high production under the Parker brand. These torches are for the UK and are extremely well priced, so good in fact that it can compete with the cheap blue Chinese copies that are available at most retailers, except here you are buying quality. If you are looking for the hardest working drilling, grinding & cutting brand in the world then please feel free to browse through our DeWALT range. Their slogan – GUARANTEED TOUGH means just that. There is a power tool for almost every need you can think of. There is no customer that is too big or too small – we will help you all. Thank you for helping us to understand what you need. We will continue to grow in leaps and bounds, but only with your support.